Because of all your interest we have decided to have another screening! 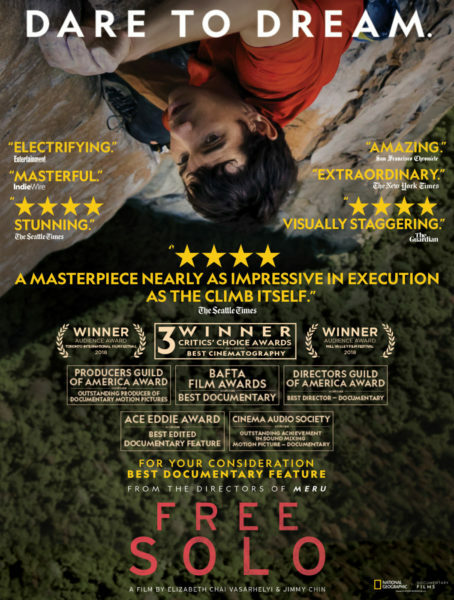 The movie Free Solo follows Alex Honnold and his journey to fulfill his dream to become the first man to free solo the iconic granite wall of El Capitan. Don’t miss this amazing film!